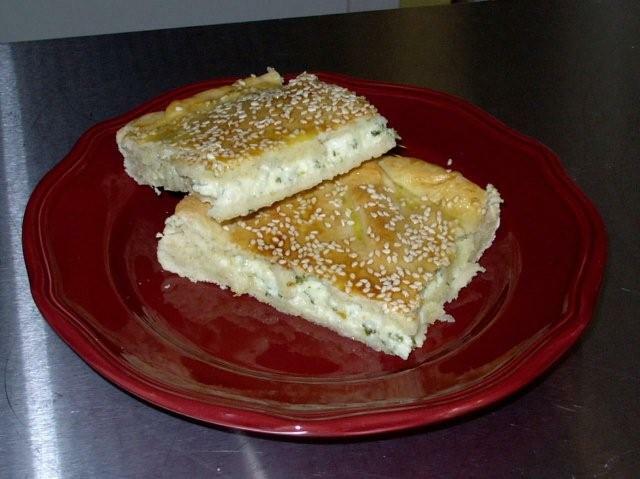 Sometimes Cheese Borag, the exciting flavor of this cheese filled pastry come from a unique blend of flavorful cheeses. You may substitute hoop cheese for the cottage cheese. While yeast is activating in warm water, cut butter into the flour until you have peas sized granules. Make hole in the middle of the flour. 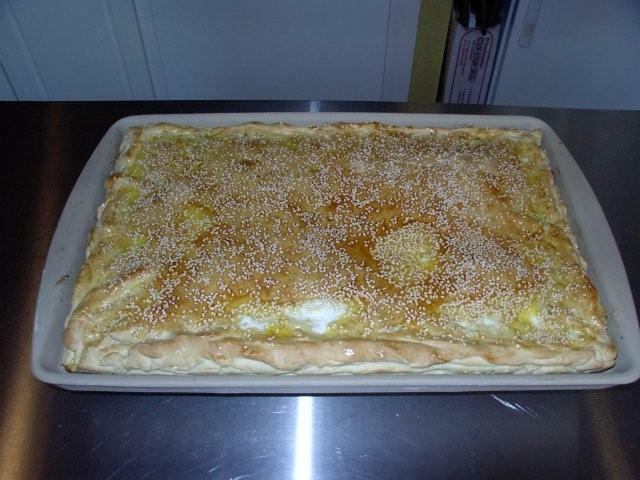 Add egg, oil and yeast-water mixture; fold in until just combined. Turn out onto floured surface and knead the dough until elastic. Cover and let rise until doubled (about 1 hour). 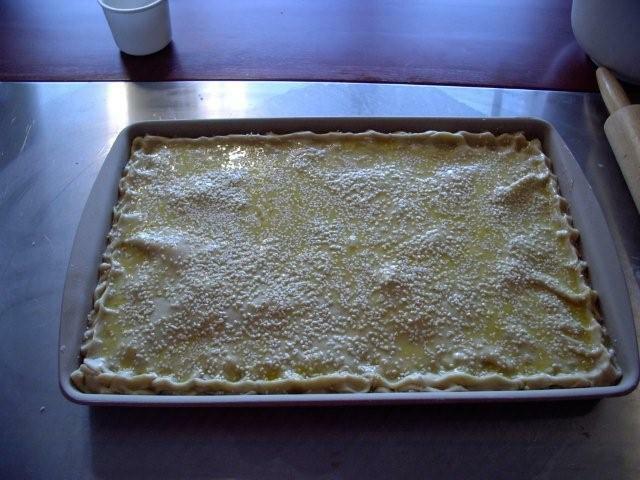 Punch down the dough, Divide into two equal pieces. 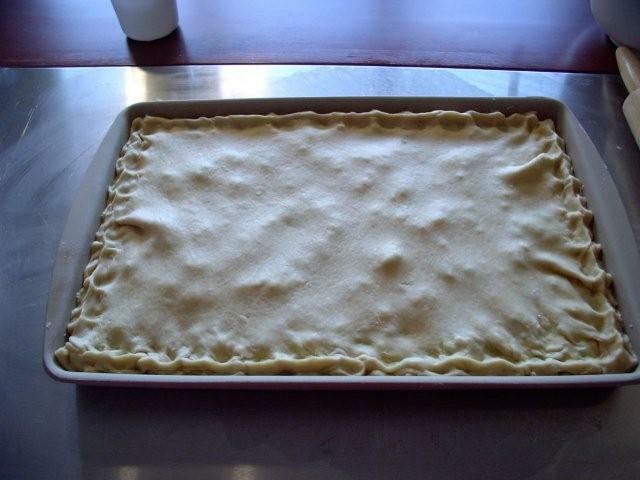 Roll one piece of dough to fit the bottom of a 17- x 11- x 1-inch baking sheet. Combine all filling ingredients in a large bowl and mix well. 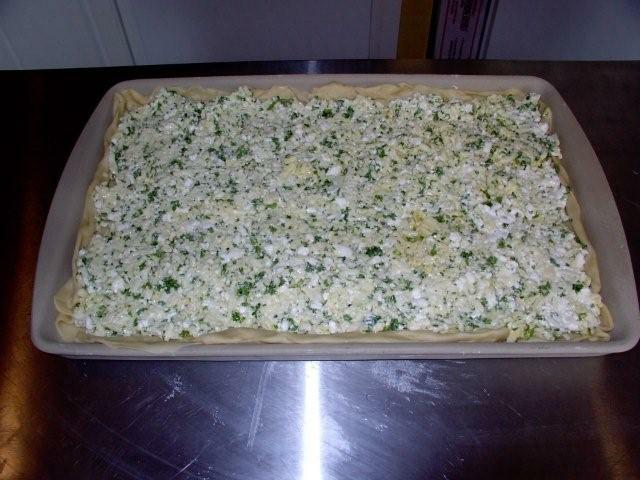 Spread evenly on bottom crust. 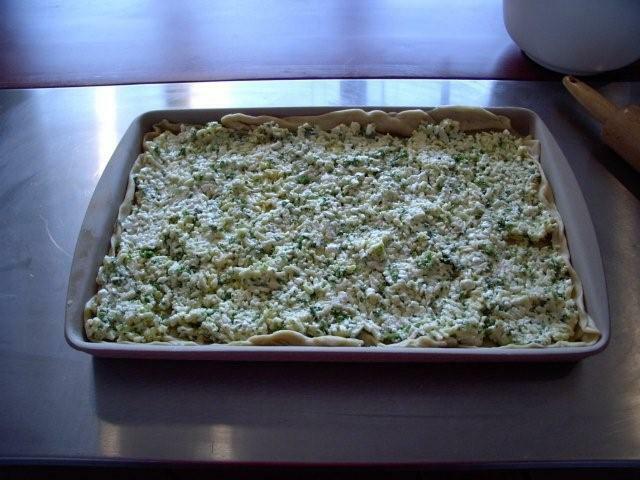 Roll remaining dough to make top crust for filling. Fold over and crimp edges as if it were a pie. Beat remaining egg and brush over top of crust. Sprinkle with the sesame seeds. Bake in pre-heated 400°F. oven until lightly browned. Cool slightly and cut into serving-sized pieces.